This week long series of sales and awesome limited editions ends with PRODIGY Day. 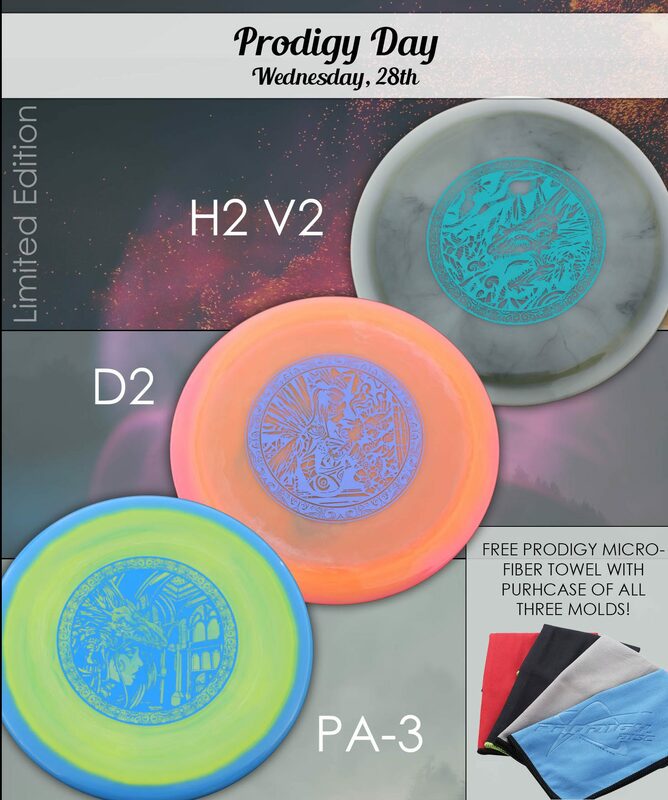 All of the Prodigy discs will be automatically discounted for the entire day on Wednesday, plus we have a selection of three limited editions discs that make a fun series. These are all on beautiful Spectrum Line plastic! 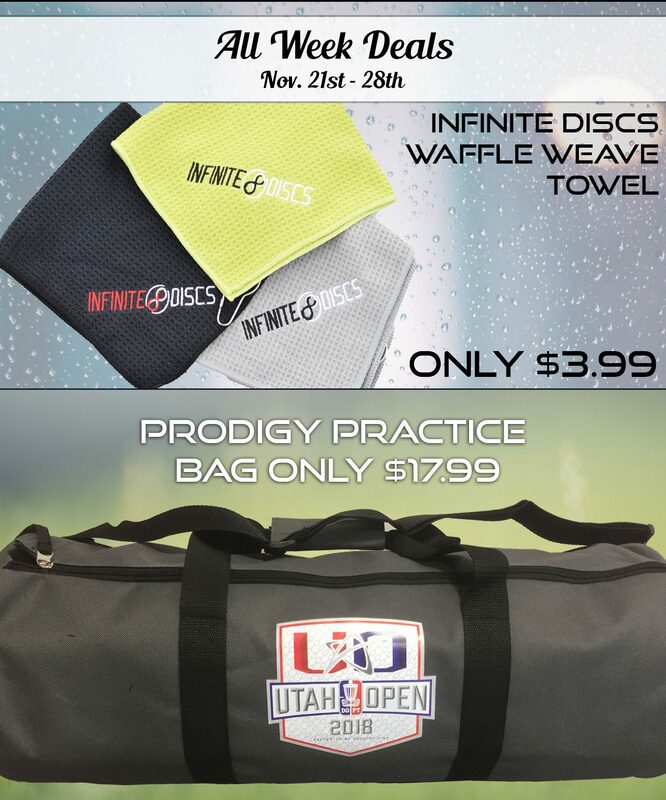 And if you buy all three, you get a free Prodigy mirco-fiber towel! NOTE: There are only 100 available of each disc. While supplies last! 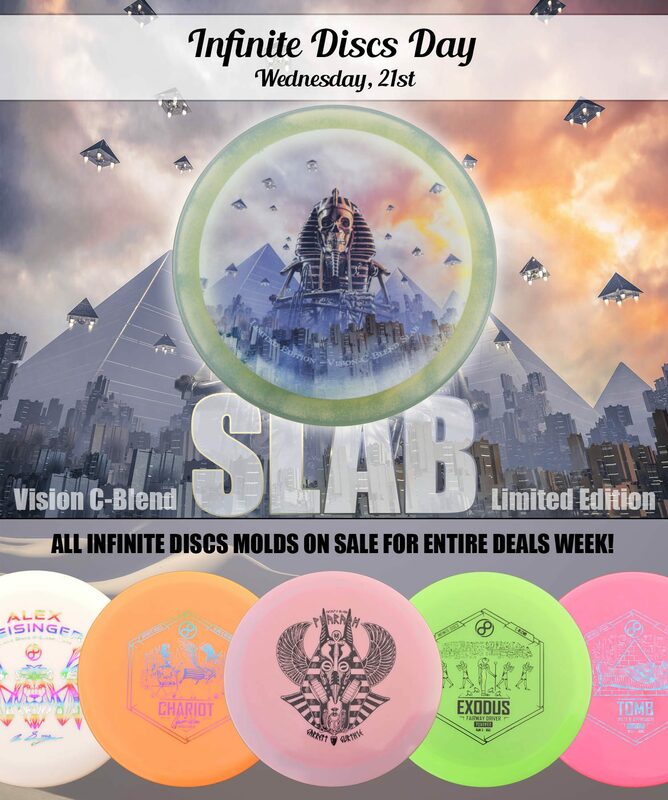 Plus, take advantage of these deals that all end after Wednesday, including the Infinite Disc brand discs which have been on sale all week long. 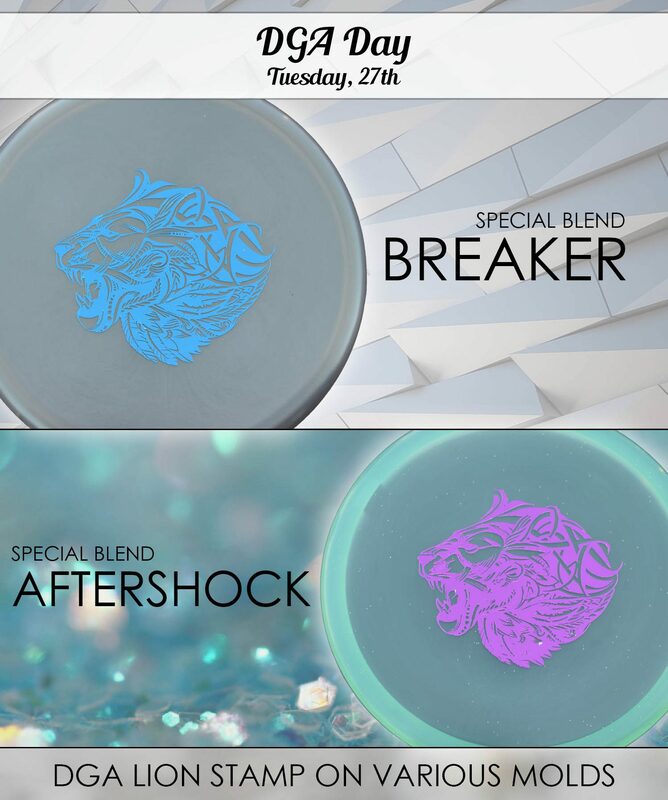 * I-Blend Exodus will be selected in random color and random weight. It is not necessary to add one to your shopping cart. 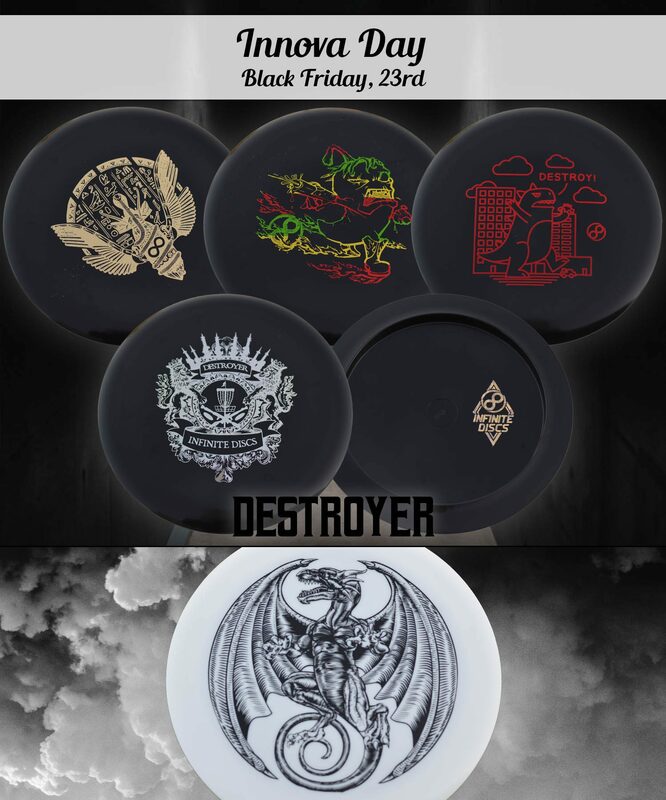 Welcome to Cyber Monday with great deals on Discmania! 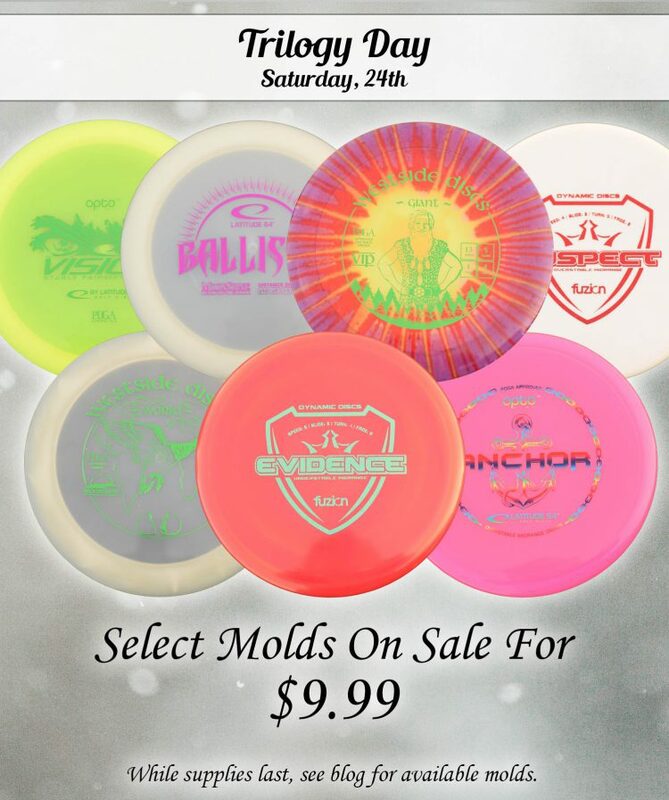 All Discmania discs will be on sale all day, and you don’t need any kind of promo code. The prices are already lowered so you can checkout as usual. We also have a couple of limited edition releases for your shopping pleasure. 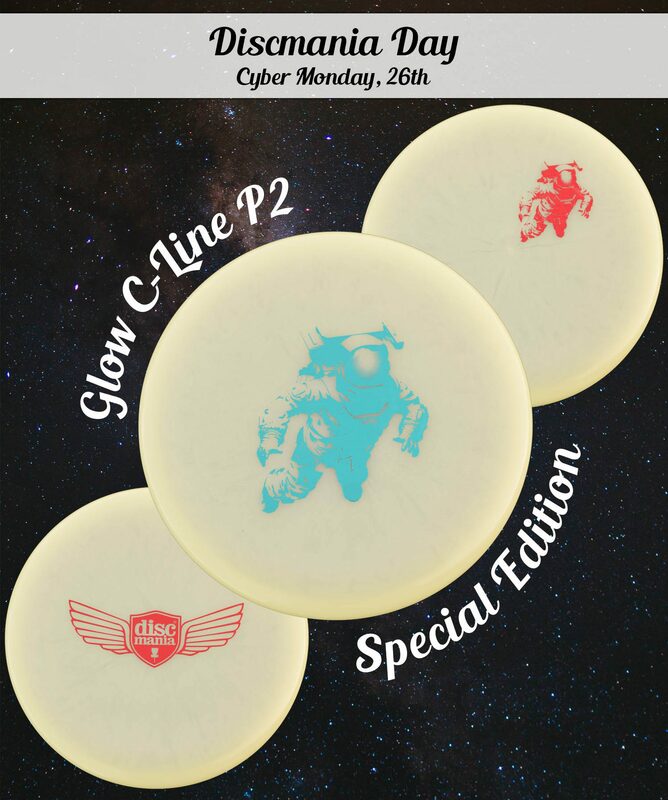 We’ve got this awesome putter in Glow C-Line plastic with a large astronaut stamp, a mini astronaut stamp, or classic Discmania wings. Get them while you can! The FD is one of the most dependable fairway drivers on the market, and we’ve got a special edition C-Line Luster FD for Cyber Monday in very limited supply. It features a great stamp. 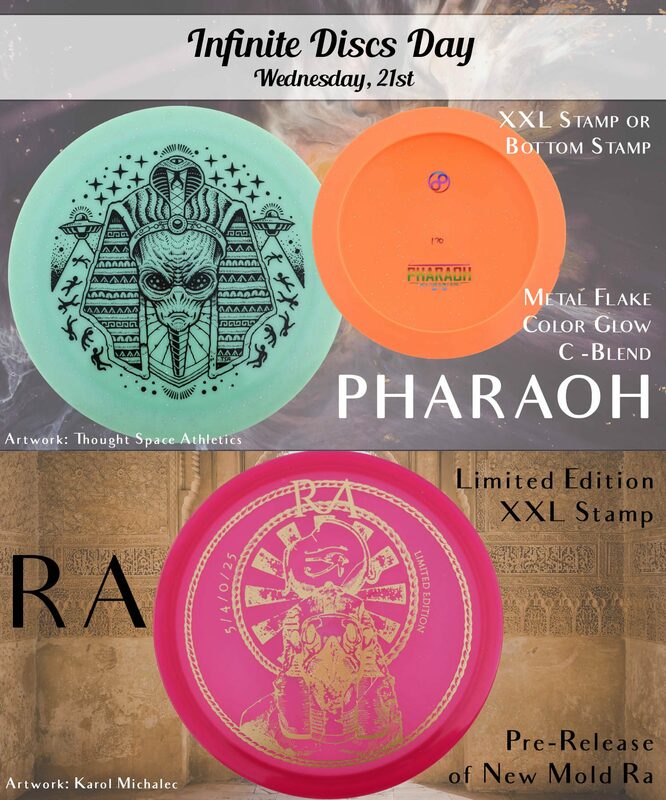 Plus, be sure to check out a variety of popular DISCMANIA models with the Egyptian Bomber stamp. BROWSE THEM HERE (you can filter by brand). 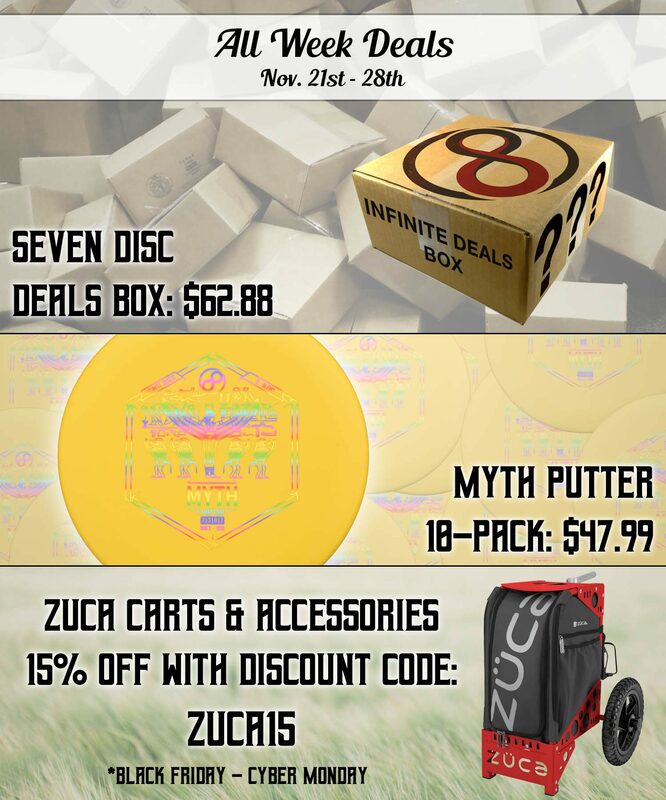 INFINITE DISCS ARE STILL ON SALE UNTIL WEDNESDAY! 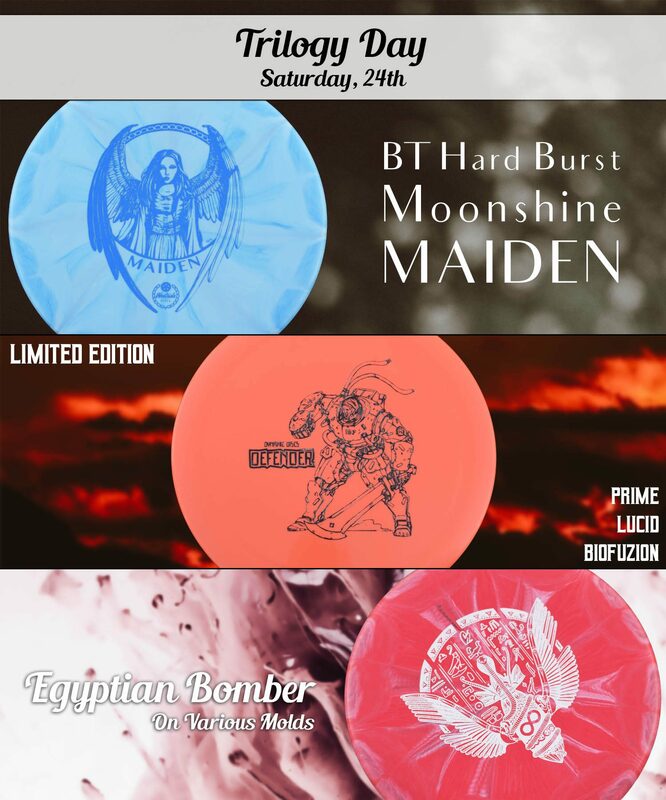 We’ve got a multi-brand lineup for you on Sunday with several special editions discs releasing for your throwing pleasure. Plus, all orders placed on Sunday, going forward until we run out, will get a FREE Pico Mini with a scarab beetle stamp! Also, just as a hint, you’ll find a some $4.99 Excel Rampage and Excel Ghost discs. Just browse through them until you see the cheap ones, and grab as many as you can! 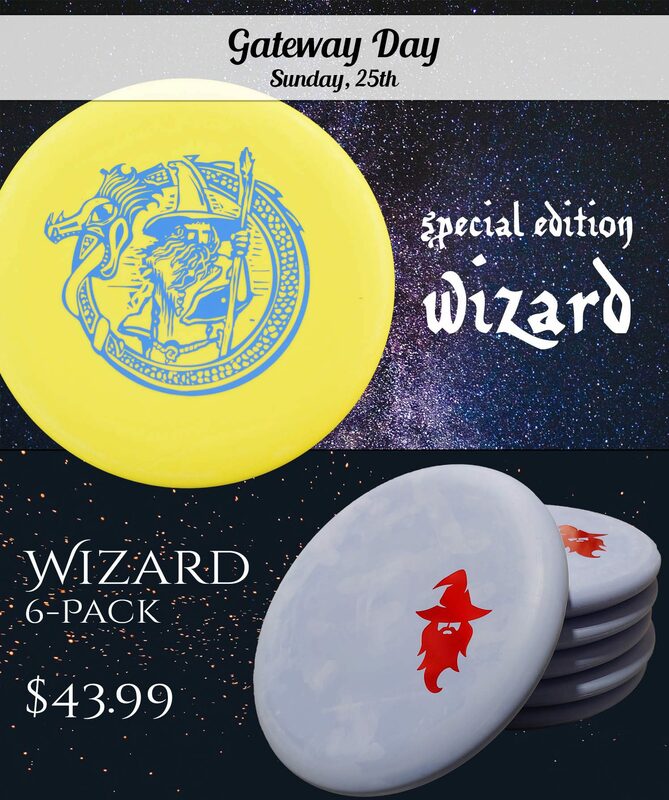 All Gateway Discs will be discounted on Sunday, but we also have a couple fun deals on their ultra-popular Wizard putter. We’ve got a special edition Wizard stamp, which you can find on several different plastic blends. RPM Discs from New Zealand is always a lot of fun to work with. They make some beautiful discs that are great on the course as well. All of their discs are discounted on Sunday. This year they baked up a special Scented Strata RURU putt-and-approach disc for us. The RURU is already a special disc, but it is extra special when it smells like Chocolate for the holidays! One of the surprise hits of the year was the overmold TWIN SWORDS distance driver by Yikun. Aside from flying for huge distances, it looks awesome. We have a special edition Full Color design that will impress whether on the wall or on the course, while supplies last! 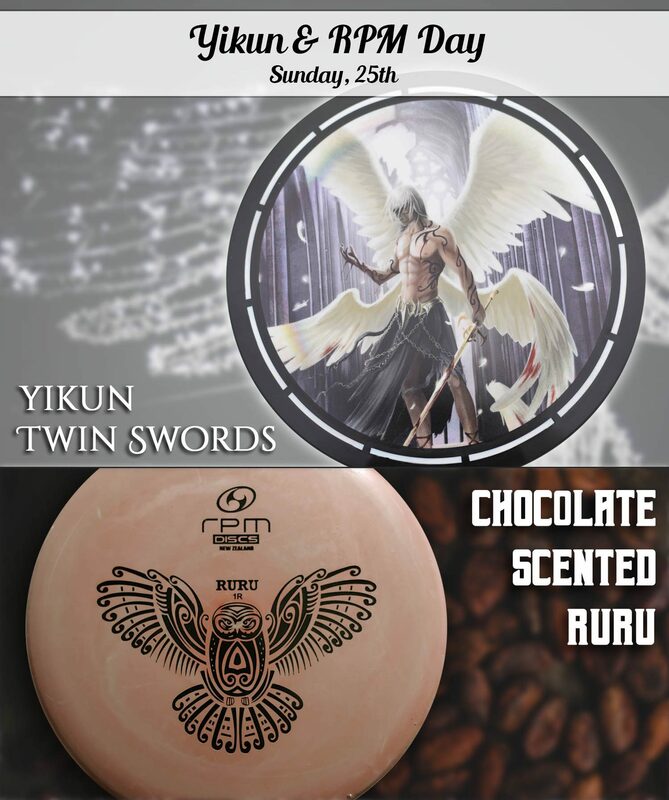 Plus all of the Yikun discs are on sale for Sunday. RDG is one of the smaller brands on the scene, but they have had a huge hit with the most flight-resistant, overstable approach disc on the market, the STEGO. 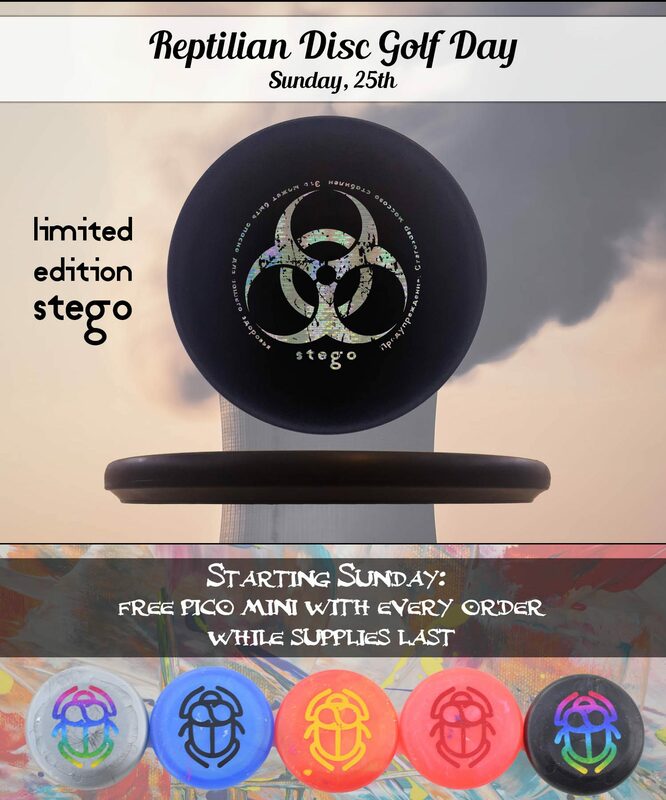 Get all RDG discs on sale on Sunday, and pick up our limited edition, special stamped Stego, while supplies last! We kick off the Saturday sale with all discs by Dynamic Discs, Westside Discs, and Latitude 64 already discounted on the Infinite Discs website. You don’t need a promo code– just find those deals and add them to your shopping cart. Aside from some special featured discs, we also have a good number of “doorbuster deals” hidden among the regular inventory so you can search for $9.99 premium plastic discs! This is an exclusive run of Glow BT Hard Burst Maidens — this is perhaps the hottest new putter for 2018, and this is the only place you can find this special plastic blend! 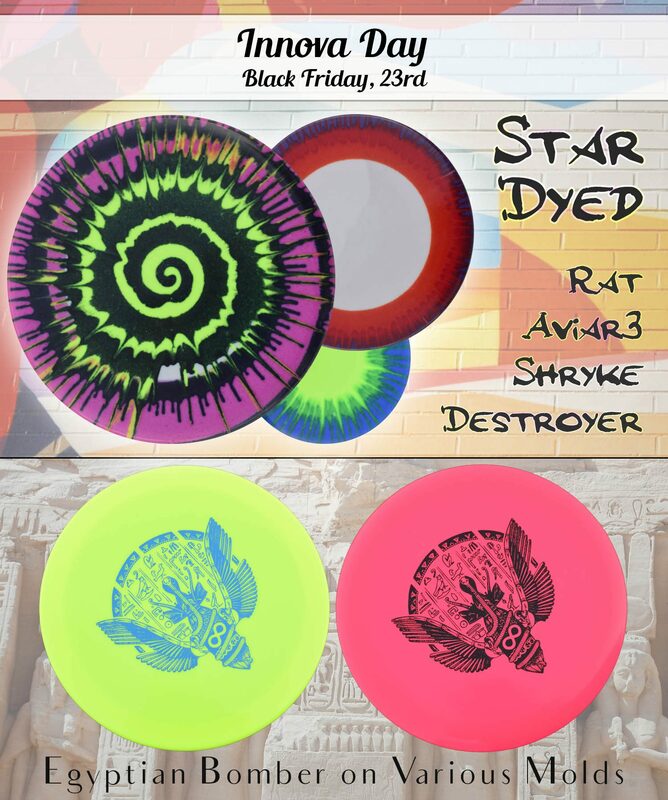 We have them with a limited edition stamp, as well as a few blank discs if you want to focus on the cool, burst patterns (some colors glow better than others). Black Friday is one of the biggest days for shoppers, so we’re featuring our biggest selling brand– INNOVA. 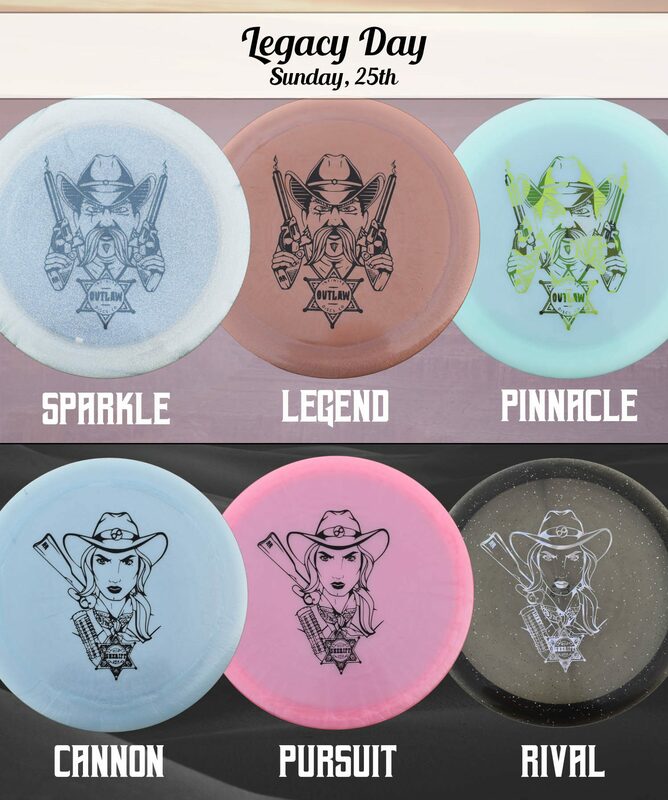 The prices for Innova discs will be lower all day. You don’t need to use a promo code or anything because the lower prices are already set. 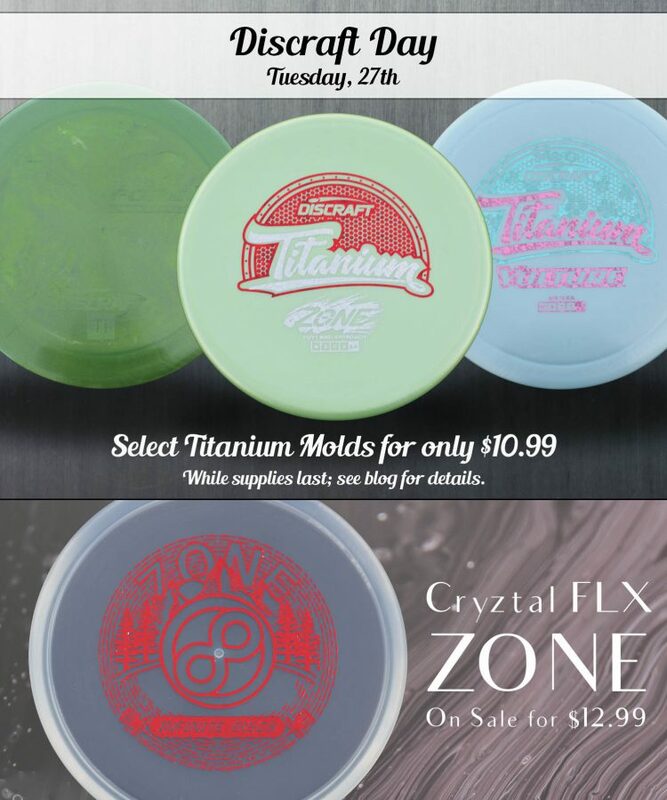 Plus, we’re going to add MILLENNIUM Discs as a bonus sale, since they are manufactured by Innova. 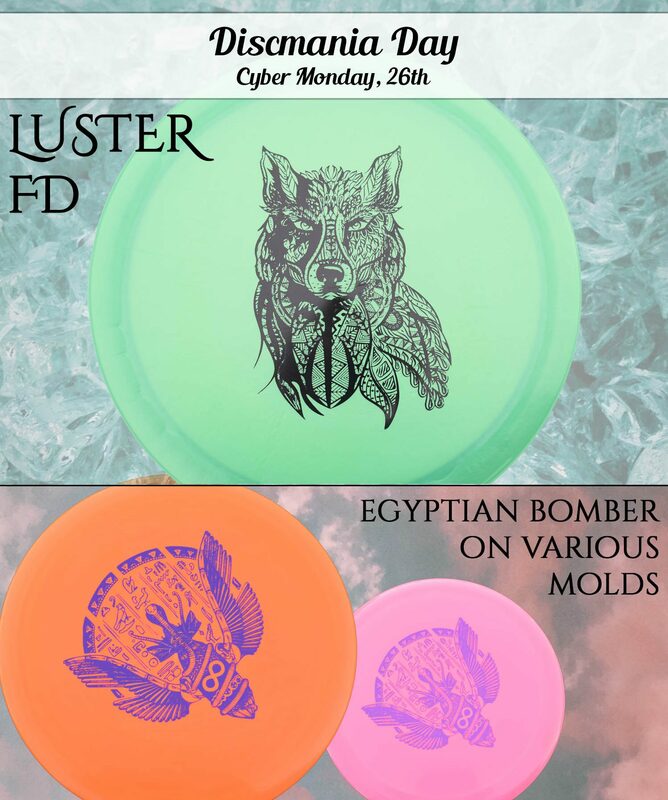 Plus we have a great selection of all the most popular Innova disc molds with the new Infinite Discs Egyptian Bombers. 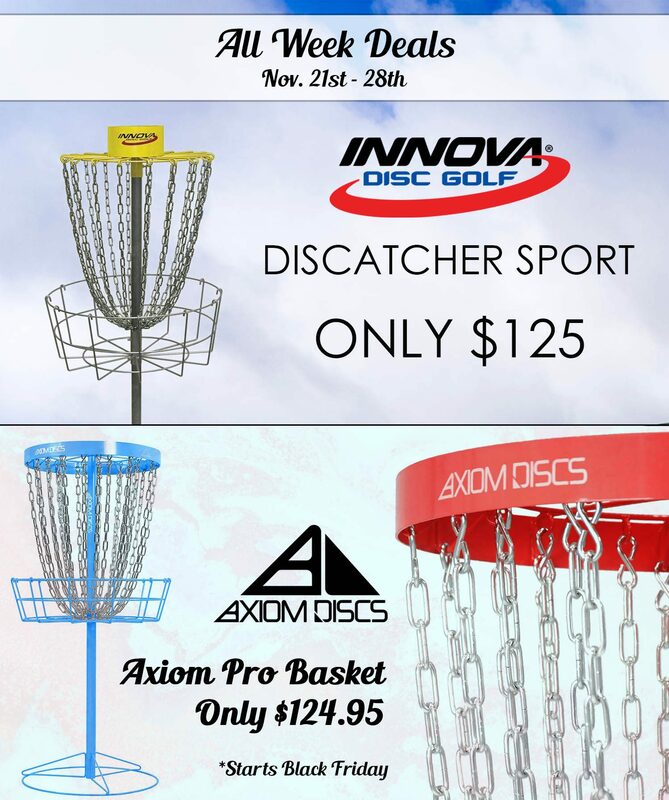 As with the last couple of years, we are proud to feature MVP, AXIOM, and Streamline Discs on Thanksgiving. All discs by those brands will be discounted for the entire day. The prices you see as you add the discs to your cart are discounted from the regular prices. 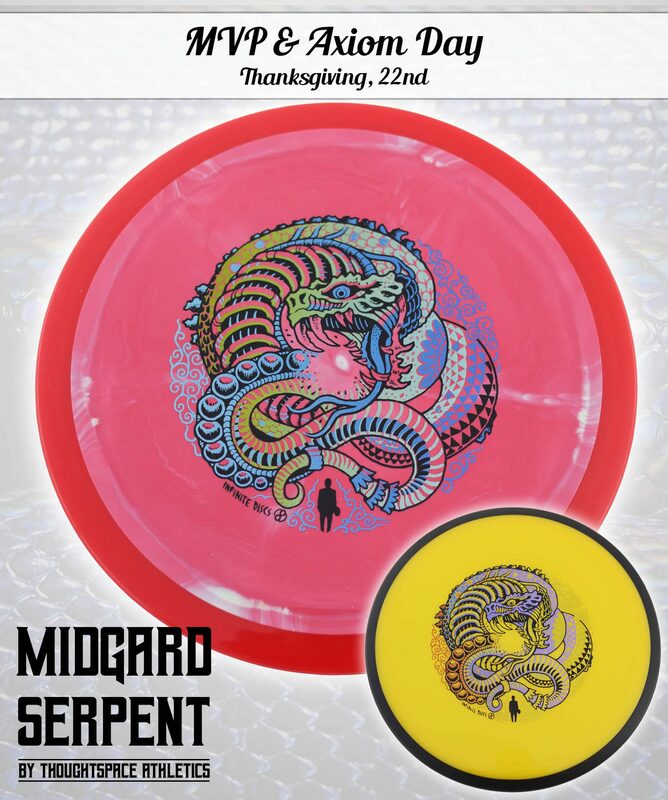 Plus, we have an exciting stamp release of the Midgard Serpent by Thought Space Athletics. These are available while supplies last on a variety of molds and plastics. 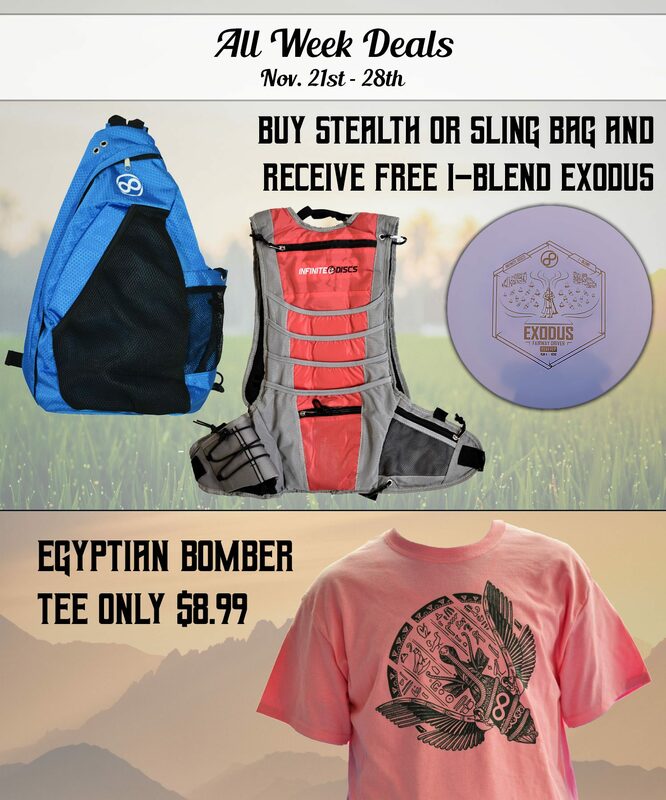 Our week-long string of sales begins with INFINITE DISCS DAY where all of the Infinite Discs brand discs are discounted. Our own line of quality discs are manufactured by Innova and we’ve been very happy with the discs for this inaugural year. 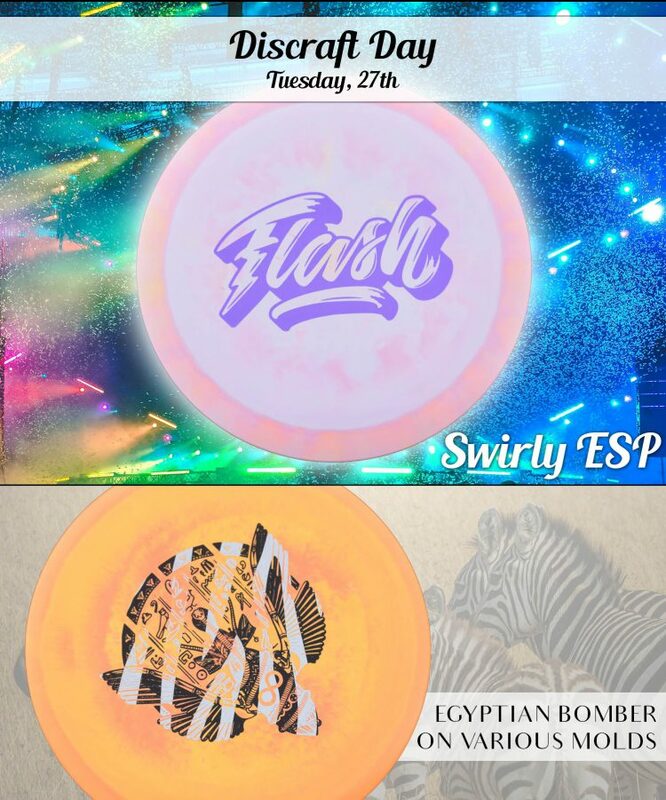 Plus we’ve got a couple of limited edition new releases that come out today! As far as we know, there has never been a disc release made in colored glow (Innova Champion) which also has metal flake in them. But we had to give it a try, and the results are great. These Pharaoh’s have a prominent dome and have an exceptionally long glide. They are probably the best run for pure distance! They come with either the XXL stamp or the bottom stamp if you want to keep the top clean for optimum glowing. 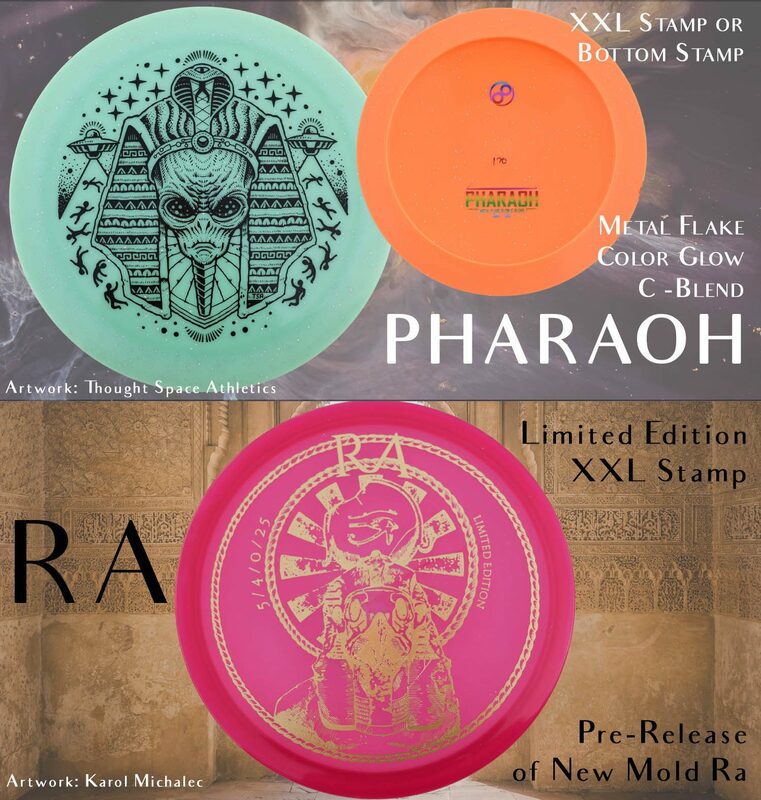 The last Infinite Discs release of our 2018 season is the moderately overstable, flat-topped RA mid-range disc. This early edition has a wonderful XXL stamp and both feels and flies great. Give it a try with this limited edition release! The Slab is our very over-stable utility distance driver, and if the earlier Metal Flake edition wasn’t beefy enough for you, this Vision C-Blend run with full-color artwork is even more overstable. It will look great as it fades hard or fights the wind for your power throws.